With over 130 members and direct access to more than 2,000 senior officials the Chief Executives' Forum brings together the key decision-makers within the civil and wider public service. Since its establishment in 1991 the Forum has built a reputation as the principal arena in which chief executives, senior managers and others can discuss how working together can improve the management and delivery of Northern Ireland's public services. As its name suggests, the Forum is both a meeting place and a public sector wide network for chief executives and, as associate members, their senior managers. The Forum provides a range of formal and informal opportunities where members share expertise and learn from best practice. Through a process of continuous development chief executives and their senior managers are also offered expert support and guidance on a wide range of issues such as corporate governance, public accountability and managing change. Stephen Peover was born in Belfast and educated at St Mary's Christian Brothers Grammar School and at Queen's University from which he has a first degree in Philosophy and a Master of Social Science degree in Irish Studies. He joined the Northern Ireland Civil Service in 1975 and spent 13 years in the Department of Health and Social Services. In 1988 he transferred to the Department of Education where he remained for 14 years. He became Permanent Secretary of the Department of the Environment in February 2003 with a range of policy responsibilities covering the environment, local government and road safety. In August 2009 he became Permanent Secretary of the Department of Finance and Personnel. 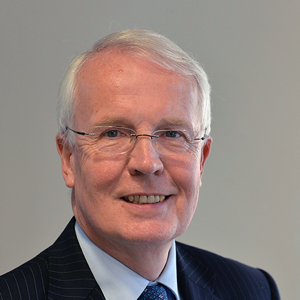 Stephen Peover became chairman of the Chief Executives' Forum on 1 July 2014.